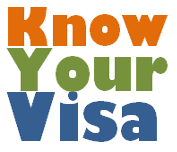 The E-3 visa is non-immigrant visa for nationals of the Commonwealth of Australia for entry into the U.S. "solely to perform services in a specialty occupation." The E3 visa was established in 2005 as part of the REAL ID Act. Congress set the limit for E3 visas to 10,500 per fiscal year. Although very similar to the H-1B, the 10,500 available E3 visas is not part of the H-1B quota. Show his/her intent to depart the U.S. upon termination of E-3 status. A "specialty occupation" means an occupation that requires theoretical and practical application of a body of highly specialized knowledge, and attainment of a bachelor's or higher degree in the specific specialty (or its equivalent) as a minimum for entry into the occupation in the United States. The definition is the same as the Immigration and Nationality Act definition of an H-1B specialty occupation. Specialty occupation does not include fashion models of distinguished merit and ability. An E-3 visa holder is normally granted admission into the U.S. for two years, or such period not exceeding the validity of the LCA, but not over two years. It may be renewed indefinitely. The 10,500 numerical limit on E-3 visas does not apply to extensions, provided that the E-3 applicant remains with the same employer named in the original visa application. Moreover, the dependents of the E-3 visa holder do not count towards the annual cap. The spouse and children of the E-3 visa holder need not be Australian citizens. They must be able to demonstrate to the consular officer that the established relationship to the E-3 visa applicant/holder exists, by presenting a marriage certificate for the spouse and birth certificates for the children. Spouses of E-3 visa holders are eligible for employment authorization. Employers of E-3 workers are required to file a Labor Condition Application with the Secretary of Labor. They make the same attestations as employers filing for H-1B visas, including, among others: paying the prevailing and actual wages, not breaking up strikes, and maintaining public access files.